If you are looking for reliable and trustworthy craftsmen, quality work, and a smooth process from start to finish, Faust Home Improvement is the service for you. Our mission consists of treating your projects and needs with the greatest respect, care, and professionalism. Faust Home Improvement handles most relevant Repairs and Services around your house. We Pre-fabricate Built-In Bookcases and other Custom Furniture in our workshop and deliver them to your home. Along with home improvements projects, we also take on smaller commercial and industrial projects. We look forward to working with you. We are available after hours and on weekends. 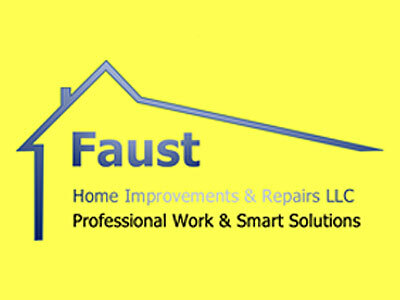 Faust Home Improvement handles most relevant Repairs and Services around your house. We Pre-fabricate Built-In Bookcases and other Custom Furniture in our workshop and deliver them to your home. Along with home improvements projects, we also take on larger commercial and industrial projects. We look forward to working with you. Wolfgang Faust has been to my home twice to help me w/ different jobs. Wolfgang is on time, friendly and efficient. Totally recommend him for all handyman work! Laura S.